Bernie Sanders: David to Clinton's Goliath? 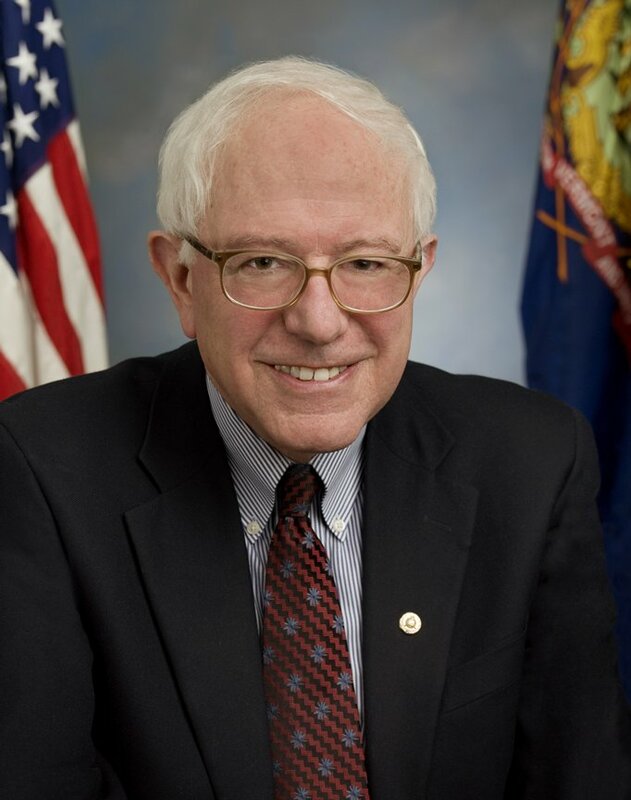 "Bernie Sanders" by United States Congress - http://sanders.senate.gov/. Those of us residing in the United States are supposed to root for the underdog. We want to see the scrappy young team come out of nowhere to beat the defending champions. How many sports movies have you seen with that theme? There aren't many that tell the story of the champions crushing everyone in their path, are there? No, we wouldn't care for that narrative at all. We support the long shot. We love the stories, no matter how exaggerated they are, about someone overcoming a disadvantaged background and obtaining the material wealth far too many of us equate with success. We want to believe this is still possible even as we fear it might be a myth. But more than that, we see something heroic about the struggle to overcome such odds. We identify with the little guy who has had to work for what he has. He's one of us, and we feel that connection. We find it inspiring when the courageous woman sues her sexist bosses and achieves important legal reforms in the process or when the lowly environmentalist manages to force the business to clean up its mess. We recognize that their tireless sacrifices have benefited us, but we also see something noble about their struggle. We applaud the sort of activism where the low-level employee faces down the corporate power and wins. We cheer for the underdog and resent "the man" (i.e., those with all the advantages we never had). Screw Goliath; we belong to team David! I'm not saying you must agree with me that these are all problematic; I'm saying that I wouldn't expect to see any of this in a nation that really was rooting for the underdog and interested in the plight of the little guy. And if that's true, it may be quite challenging to make accurate statements about our general tendency to support the underdog. Maybe we do it in some situations and not in others. Turning to politics, we might have an interesting test case of our interest in the little guy as we approach the Democratic primary. In many ways, Sen. Bernie Sanders is the perfect example of an underdog candidate on the left. Almost nobody seems to think he has any chance of wining the Democratic nomination. He's too old, too eccentric, too much of a socialist, too principled, too idealistic, and so on. Never mind that many on the left agree with him on many of the issues; he's about as much of a long shot as one could hope to find on the left. He's widely considered unelectable. The corporate news media has already anointed Hillary Clinton as the Democratic candidate for president in 2016. While they might not have the power to decide who the Democratic party picks as their candidate, I suspect they do have a sort of veto power to decide who it will not be. If they opt against presenting Sen. Sanders as a serious candidate, which has been their approach so far, it is almost impossible to imagine voters not reaching a similar conclusion. Clinton poses relatively little threat to their way of doing business, and there's your motive. As mentioned above, many on the left agree with Sanders on the issues. In fact, many on the left agree with him far more than they agree with Clinton. Despite agreeing with Sanders, many on the left have concluded that he cannot win and so they will support Clinton instead. It is this second point that I find so fascinating in this context. Many on the left appear to be saying that they prefer Sanders' position on the issues to that of Clinton but that they are going to support Clinton instead because Sanders is too much of a long shot. So much for rooting for the underdog, huh? Maybe team Goliath isn't that bad after all.